iPhone 7 is good, it's powerful and it's beautiful. Yes i accept but why are we not seeing the bad side of the phone? Why are we focusing only on the good sides. One thing about this blog is that we are not biased as we try as much as possible to give you the right information, reviews and guidelines so that you make a perfect decision when it comes to getting a new smartphone. Am revealing this mainly because of the price tag on this new device from Apple. At N500,000 it should offer more than what it is currently offering. Am not saying the phone is bad. Of course it's a nice phone with some sophisticated Specs especially the processors used. But then, when you think iPhone 7 is perfect, i will tell you "hell no". No 3.5mm audio jack (ships with a Lightning to 3.5mm adapter). No dual-camera of the iPhone 7 Plus. NFC functionality is limited to Apple Pay. Although once you wrap your head around the missing audio jack (it's not the end of it, you can get a designated adapter for your favorite headphones) but it's just not cool. 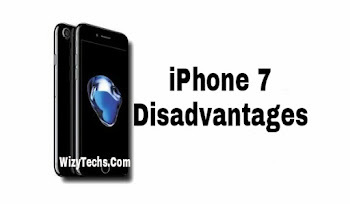 Why all the hype on iPhone 7? No matter what a phone offers, without a very good battery, it's a turn off for me. Don't know about you. i cant believe what i just saw... ehhhhhhh 1,960mah.. bros nah nokia torch?? Wizy, all what you just said are true, though it still remains the World's fastest device as indicated by geekbench.